Barbecue National Champions, it’s only natural that Pellet Envy hails from Kansas City – the city known best for it’s barbecue. Since 2001, Rod & Sheri Gray have traveled from coast to coast, cooking, competing and teaching all things barbecue. Find out more about them here. The Pellet Envy school of competition barbecue has generated more Grand Champions than all other classes combined. Just want to learn to cook competition quality barbecue in your backyard? You’re not alone as more and more students attend to cook championship quality barbecue at home. Find the current school schedule here. Pellet Envy travels far and wide to compete and teach barbecue. From Washington, D.C. to California, and from North Dakota to Florida, there aren’t many places they haven’t competed. 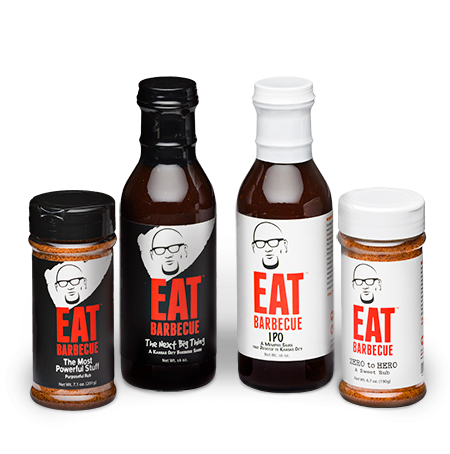 Want to catch up with Pellet Envy somewhere on the barbecue circuit? Check out their current schedule here. Not only is Pellet Envy a Barbecue National Champion, they’re one of the winningest team in barbecue. With more than twenty perfect scores in the four meat categories, they rank as one of only a few teams to accomplish this feat, and they’re not done yet. Keep track of Pellet Envy’s latest wins right here. Pellet Envy has set the bar for barbecue classes. After all, they’ve been doing this since 2007. Learn from one of the winningest teams in Kansas City Barbecue Society history. This class will cut years off of your learning curve and set you on a path towards being a better cook. Take the class where the other instructors learned much of what they know about winning. Not planning on competing? You’re not alone. More and more students are enrolling to learn to cook competition quality barbecue in their own backyards and loving the results.